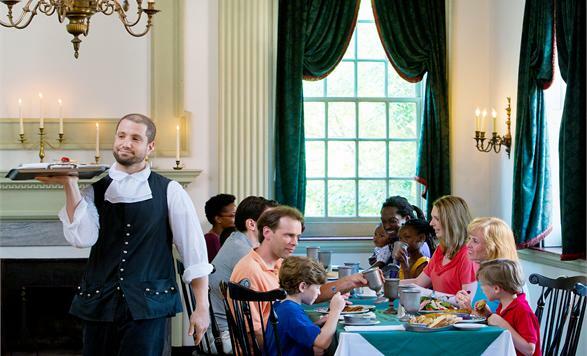 First built in 1773, this historic restaurant hosted many of the Founding Fathers historic celebrations. Menu specialties include West Indies Pepperpot Soup, Roasted Duckling, Turkey Pot Pie, Medallions of Beef and freshly baked breads prepared from scratch. Enjoy history and romance in ten elegantly appointed dining rooms.